For the article entitle What is Money? 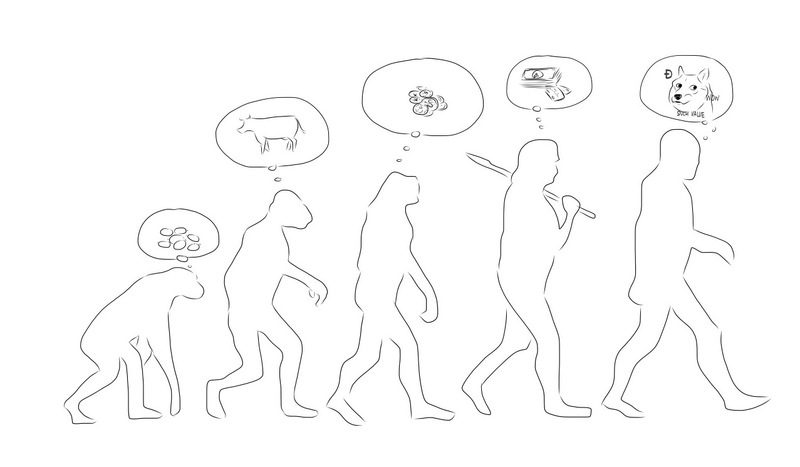 I came up with the idea of the evolution of man and money to illustrate the text. Just like humans, the concept of money has evolved and is still evolving. We went from shells, to cattle, to coins, to paper billd and plastic cardd, and are now just starting with online systems like Dogecoins. It's interesting to see how we're moving away from tangible money into the virtual world. Perhaps we're slowly moving into the utopian concept of a moneyless society from Star Trek. Gene Roddenberry was right about many ideas, perhaps this will be another one to add to the list of Start Trek concepts that are no longer fiction.